Note: Same plots are mirrored. Balcony and terrace sizes and locations may differ from those illustrated. Please refer to individual floorplans. Floorplans are not to scale and are indicative only. 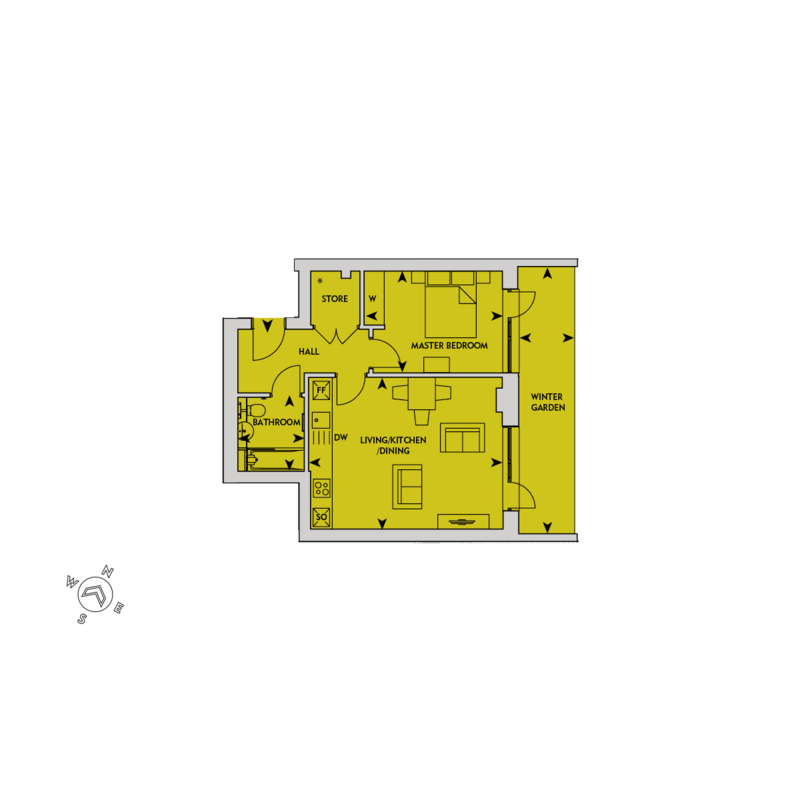 Location of windows, doors, kitchen units and appliances, and bathroom fittings may differ. Doors may swing in the opposite direction to that shown on selected units. All measurements have been prepared from preliminary plans and are intended to give a general indication of the proposed development and the size and layout of individual plots. Measurements shown are maximum room measurements. Total areas shown are maximum and may vary for each unit within a type. RemixHelix is the final piece in the exciting recreation of New Stonebridge Park. Remix is a boutique collection of just 34 one and two bedroom apartments, built around residential courtyards with a central green space. Many of the homes on the higher floors in Remix enjoy far-reaching views towards central London, adding to the sense of space and well-being this area has become known for. The journey from your Remix apartment to the West End or The City couldn’t be simpler. Harlesden is a well-connected suburb that makes London living a breeze.